You can now add more components to your page. 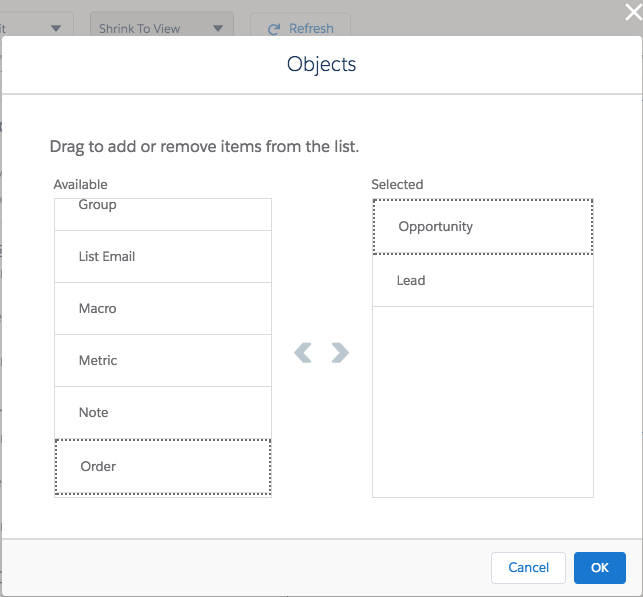 This time you'll add a Recent Items component, which you configure to display recent opportunities and leads. From the Standard Components menu on the left, drag the Recent Items component to the right column. In the property inspector on the right, type Opportunities & Leads for the label. Click Select under Objects, and drag Account from the Selected column on the right to the Available column on the left. Drag Opportunity and Lead from Available to Selected.